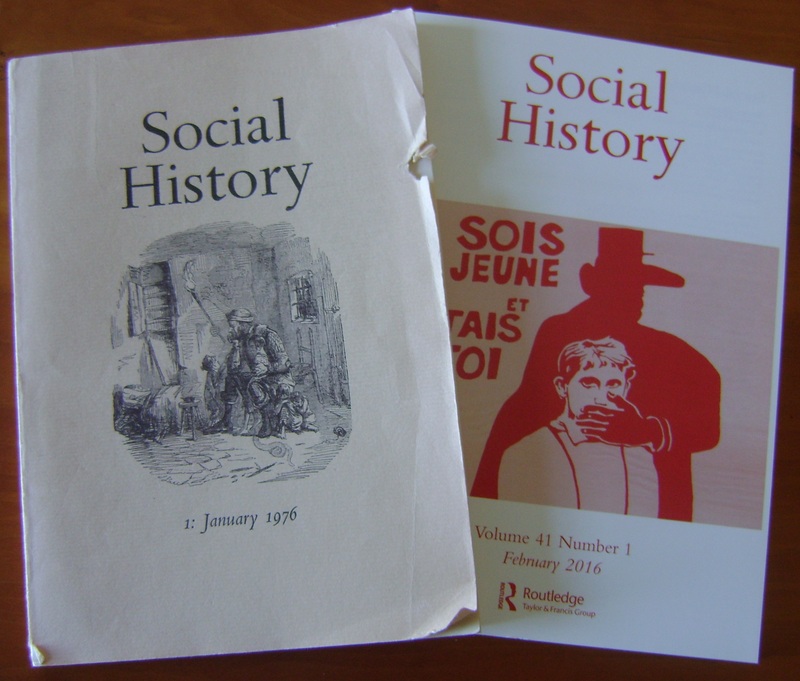 Social History has been publishing innovative research and provocative discussion in the field since its launch in 1976. To mark its 40th anniversary, we have brought together a small selection of the material that has appeared in the journal over the last four decades. These sixteen articles have been chosen by members of the journal’s Editorial Board (including its current editors), and Janet Blackman, one of the journal’s founding editors, as representing the range, scope and quality of the journal’s archive. 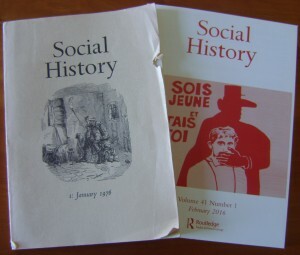 The journal’s initial editorial statement, published in the first issue in January 1976, stated that ‘Social history must be at once iconoclastic, corrosive of received explanations; creative in producing new concepts and devising new methods; and aggressive, encouraging incursions into all fields of historical analysis.’ We hope that the articles selected here reflect this ambition and vision. As part of our retrospective we also, therefore, include the founding editorial statement as a fitting introduction to the pieces that follow. In addition to its editors Janet Blackman and Keith Neild (who oversaw the development of the journal until very recently), the members of the original Board were Michael Anderson, Geoffrey Crossick, John Foster, Robert Gray, Patricia Hollis, Olwen Hufton, Richard Johnson, Alan Macfarlane, Peter Mathias, Michael Rose, Harold Silver, Christopher Smout, Gillian Sutherland and Dorothy Thompson. This entry was posted in Uncategorised on 14th March 2016 by Grainne Goodwin.